It’s September. Again. The summer slowly goes away, we already sent the pupils to school and the “recovering” from the summer holidays feels really painful. The autumn is knocking on the door and then the winter comes again – with its frosty mornings, chilly winds and flurries of snow! On the other hand, you can always find some charm in this – warmness, a fireplace, candles, cinnamon smells and, of course, movies. Despite all, autumn is a perfect moment to start planning a journey (or more; the more, the better) for the next year, and the winter – to learn a foreign language. If you are workaholics like me, that in some moment feels the need to refresh and decide to “escape” somewhere, you already have started thinking where to go – how, where, when, why… Europe has a lot of gorgeous places to explore – some of them are popular, the others – not so much. 1.) Cinque Terre, Italy. It’s called “the five villages between the sky and the sea”. To me, it takes first place because the most attractive thing is the timelessness the villages exist in – with cosy houses in pastel pink, orange and ochre, perched on the slopes with a breathtaking view from above. So, we have a beautiful nature, crooked roofs, delicious squid and no cars – because they’re forbidden. 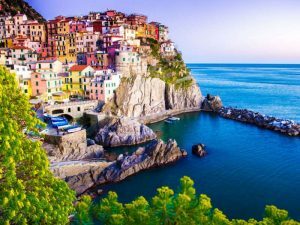 My advice is to choose a train that runs through the five villages: Monterosso, Vernazza, Cornelija, Manarola and Riomaggiore. This is the fastest and the most effective way to see the whole region. 2.) Bergamo, Italy. It doesn’t matter how many times I was there, it is not going to piss me off. Italy has always been my weakness, especially the treasures like Florence and Venice. Most people, when hear the name of Bergamo, think of the airport; which is normal for the northern part of the city where citizens are used to it. 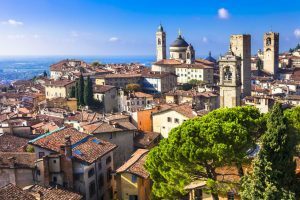 But, Bergamo is one of those rare treasures that should be seen at least once in the life – especially the Old town and its rustic Italian charm. My advice for you is to organize a one week journey in Northern Italy. 3.) The Cotswolds, England. The English countryside has always allured me with its outstanding towns, the serenity in the everyday life and the monotone routine – a perfect opposite of the hectic rhythm of life in big cities. 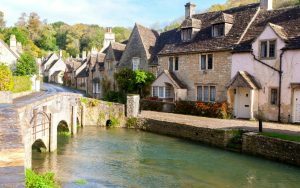 Cotswolds is one of those areas in England where the spirit of the past is preserved – brick houses with spiky roofs, greenery and long alleys, ancient churches and castles, homes of the former English aristocracy. It is 2 hours from central London and is a perfect destination for a weekend trip. 4.) Sintra, Portugal. Just a stone’s throw from the capital Lisbon – about 30 minutes from the city itself. 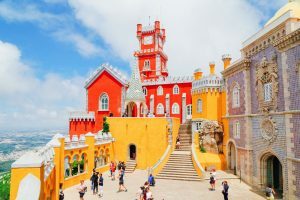 This incredible area of Portugal is filled with many castles, majestic houses and mountains. One weekend is not enough to see everything, but a week-long vacation in the heart of Spain is enough for relaxation, to touch the hospitality of the locals, and especially to learn interesting moments from the history of Spain and its nobles. Until a few years ago, Sintra was not such a popular destination, but now you have to be prepared for big crowds at weekends and at noon. To avoid this, it is most convenient to head early in the morning.